Santorini Proposal Photography Tour of Moira and Maik on Oi Santorini village. 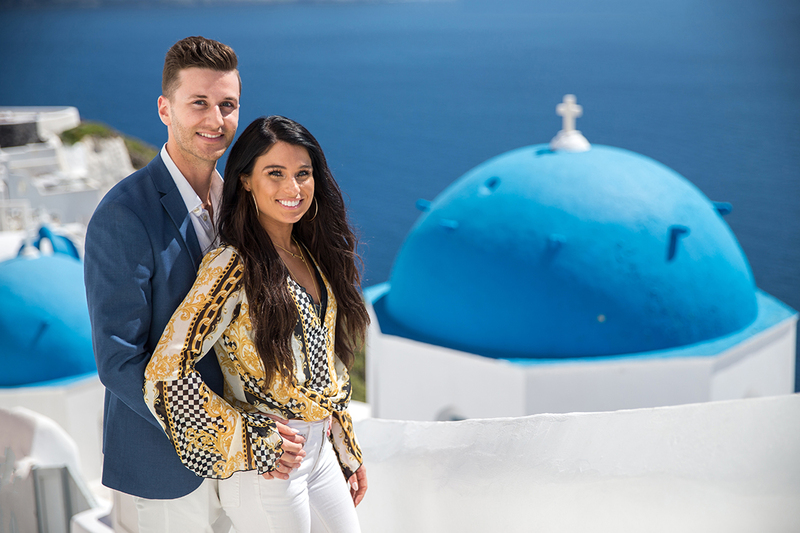 Maik had Choose a pictures place in Santorini on the blue dome church rooftop that had personal significance of both of them. Once we drive them there we had the photographer and vedographer ready, to take a picture of them together, and instead of posing, Maik drop down on one knee and proposal to Moira that she was so surprised and happy!!! 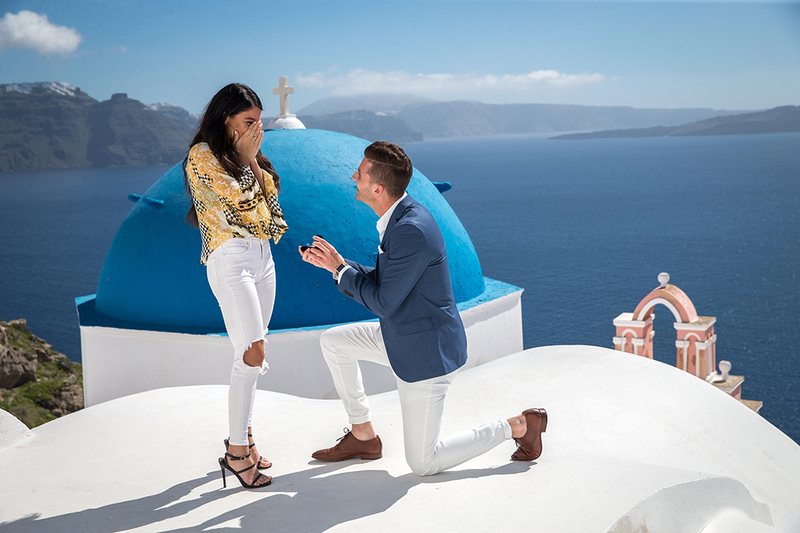 Maik had another surprised for Moira, when she reply back to him with a big ” YES I WILL MARRIED YOU ” both families with Moiras sister show up and a favorite love song start playing on recording music by the beautiful view of Santorini’s caldera. For a really personal touch, Maik ask the performers to incorporate his fiance’s name into the lyrics. The happy proposal day in Santorini finish after 2 hours when we took Maik and Moira with the whole family from Pyrgos restaurant back to the Airport !!! 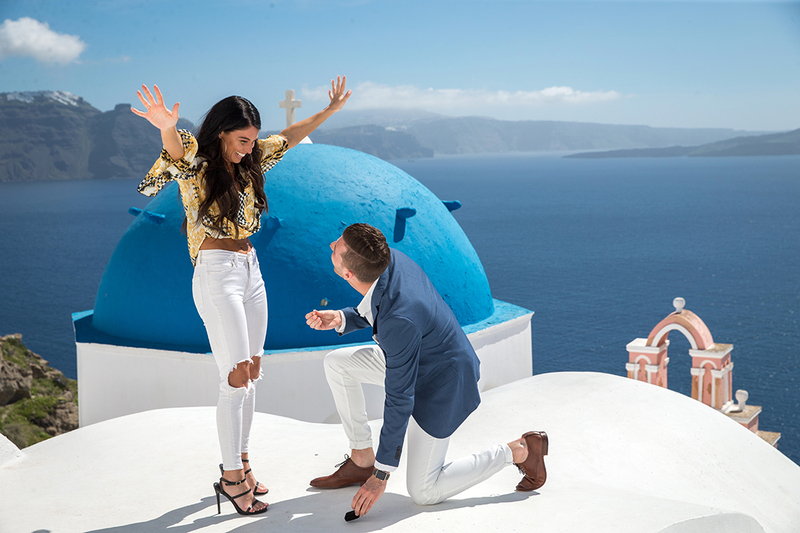 A happy proposal day in Santorini by Santorini photography tour team !